Home PREGNANCY TESTS Pregnancy Test When Is the Accuracy of Pregnancy Tests Compromised? When Is the Accuracy of Pregnancy Tests Compromised? When women believe that they are pregnant, the first step is usually a home pregnancy test. 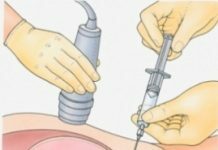 These have become extremely reliable in recent years and can now help to prove a pregnancy before a doctor can. However, there are questions about the accuracy of pregnancy test and whether the result you get is something that you can trust. First of all, you need to follow the instructions on a home pregnancy test if you want an accurate result. There are times when a negative result will be gained but it is known as a false negative. It is worth spending some time to read the instructions for the test a few times before taking it. Another reason why the accuracy of pregnancy tests will be compromised is due to taking it too early. The test will measure the amount of pregnancy hormones in the body, which are usually high enough on the day of a missed period or after. However, with some pregnancy tests, it can take up to 4 days. However, the earlier taken, the lower the amount of hormones in the body; there are high chances that the test will not read the results correctly and will give a false negative. It is best to take another test a week later to ensure that the results are definite and accurate. Medications are a major problem when it comes to the accuracy of a pregnancy test, especially for those who are taking sleeping tablets or those to treat epilepsy. There are many others, including those for Parkinson’s disease, to help with allergies and for heart failure. There is more information on the leaflets that come with the tests to inform you of how they will affect the results. Another factor is the time of day that you take the test and the amount of fluid that you drink. First thing in the morning is the best time to take the test because the level of pregnancy hormones will not be diluted. You also need to avoid drinking too much water too as this will affect the result and will give a false negative. The majority of the time, if you find that the test is positive, then you pretty much are. It is important to see your doctor but there are high chances that they will not do a repeat test due to the high accuracy of pregnancy tests. However, there are times when the positive test will be wrong. This is due to an early miscarriage. This is usually the case when it comes to a second test showing negative or when you get your period after taking the first test. 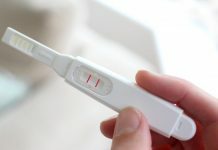 The problem is that the pregnancy hormones will still be in the body for about a week after the miscarriage, so the accuracy of pregnancy tests will be compromised.